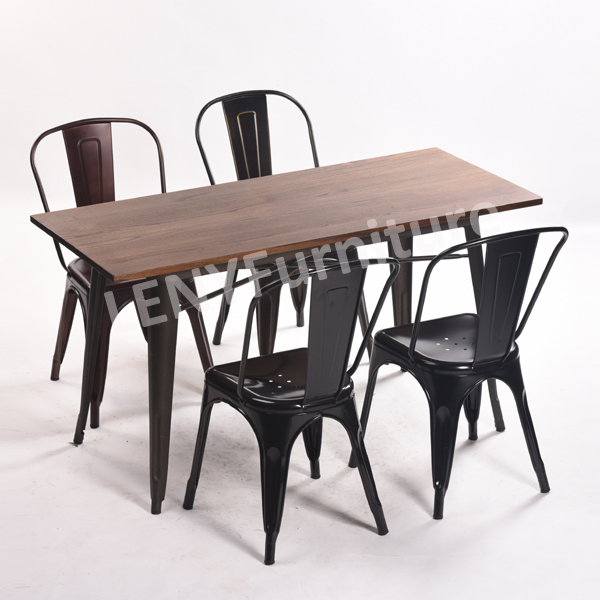 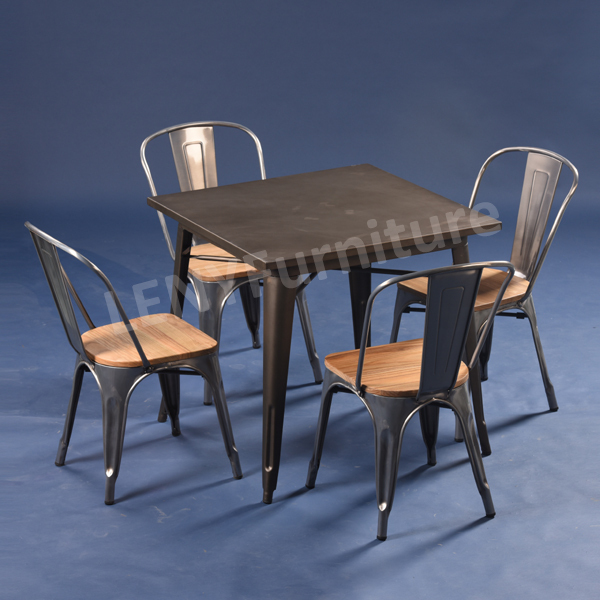 The tolix rectangular table is popular used in dining room,either at home or restaurant,which is made from metal sheet with power coating or galvanized finish,with solid oak wood top,the oak wood has the beautiful wood texture,of course there is single metal style without wood top. It is durable and easy to clean,and it is so portable because of its metal sheet material,that is welcomed in restaurant owners,besides,they are light and easy to move as a rent company,the most important,there are many colors for choice,customers can choose the most suitable color for themselves. 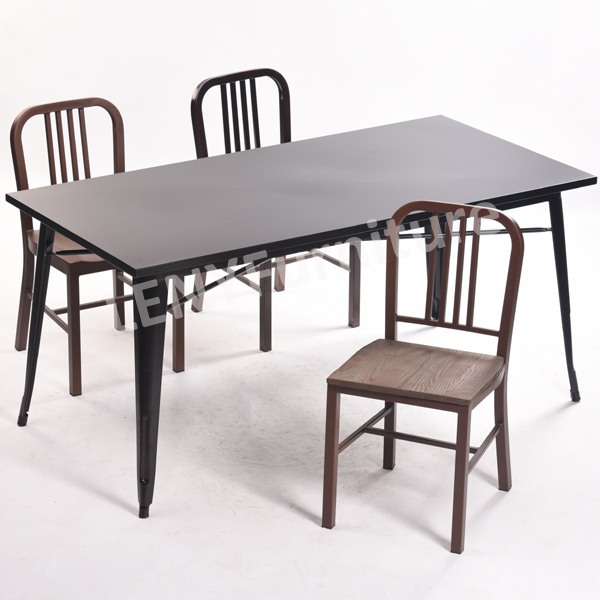 The tolix rectangular table is always matched with tolix A chair or navy chairs,there are different sizes of tolix table for choice,besides,variaty of colors.